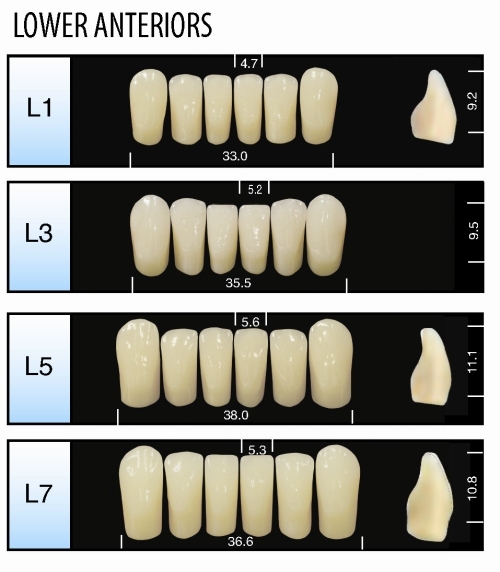 Longer experience, by Major, in fabricating composite teeth. 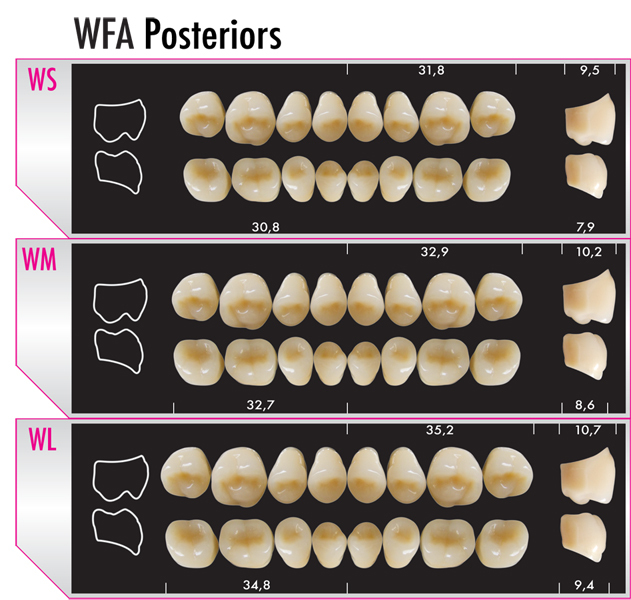 Pioneer in the development of an easier BONDABLE neck for composite teeth. 3 Dimensional esthetic for great aging effect, developed in 1970 in cooperation with Northern Italian Universities. Harmonious superiority of forensic sculpture of the master molds. More affordable than all competing brands. Endorsed by the Justi Hollywood Teeth R&D department the inventor of hardened plastic teeth. 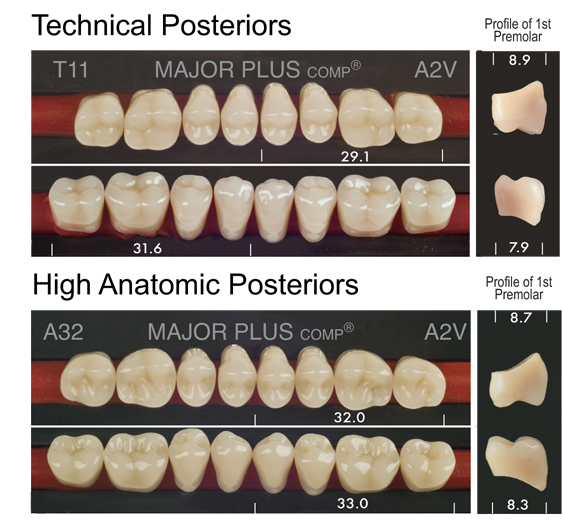 Able to withstand inplant forces when used as implant-supported denture teeth. 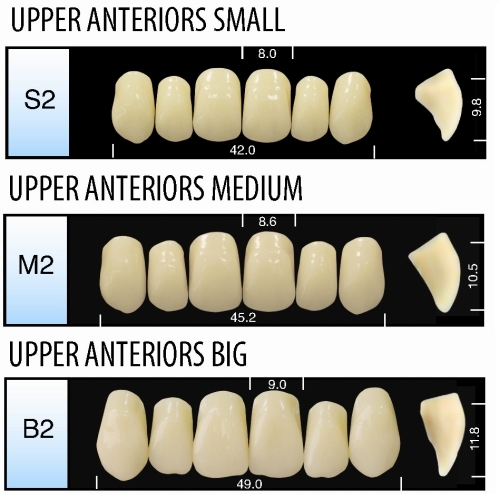 Major Plus Comp Anterior teeth are offered in 10 upper and 4 lower molds in 3 different types of sizes: S (Small), M (Medium) and B (BIG). Shade range is only in Vita Hues. Made in Italy. All Major tooth lines can be professionally cleaned using Renew Denture Cleaner.